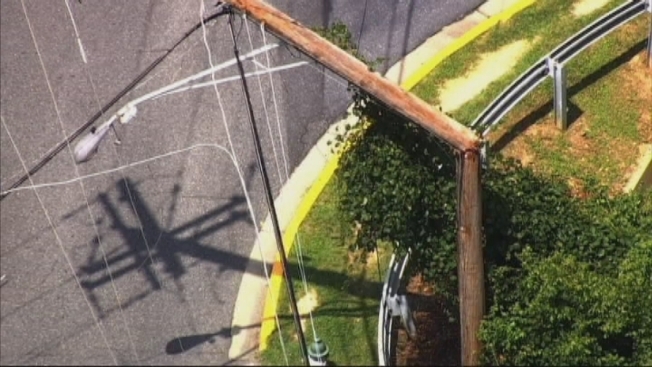 A utility pole snapped in Montgomery County, Maryland, Thursday, dropping power lines across Route 29. Police closed both the northbound and southbound lanes after the power lines went down at Blackburn Lane in Burtonsville. Route 29 (Columbia Pike) could be closed for several hours. Traffic is being diverted. Several apartment buildings in the area are blocked in and without power. BGE crews are making repairs.